--All discount codes are listed in RED and are good from November 11th until December 15th unless otherwise noted. --Only a select few shop items are featured in this guide...be sure to visit each shop and check out their full inventory of items! --See something you like? Don't wait to buy! Some shops have limited quantities of certain items & required 'order by' dates to get your item before Christmas! --If you make a purchase and have questions, please contact the seller directly. --Feel free to share this guide with everyone! Handmade goodies for all! --Please check each shop's policies before making a purchase. --❤ : Denotes Casey's Pick! Found something you love? Spread the holiday cheer & Tweet it! 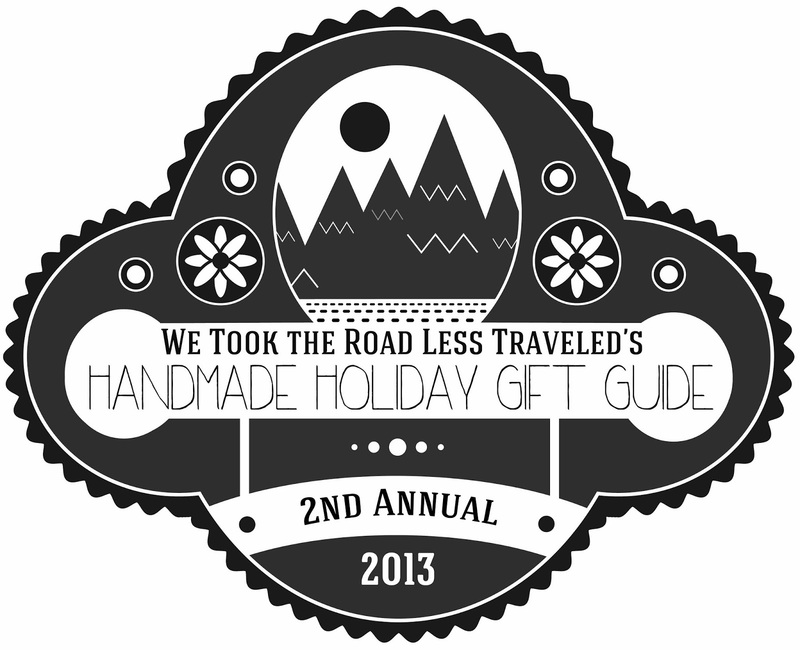 Use code LESSTRAVELED5 to get $5 OFF any purchase of $10 or more! 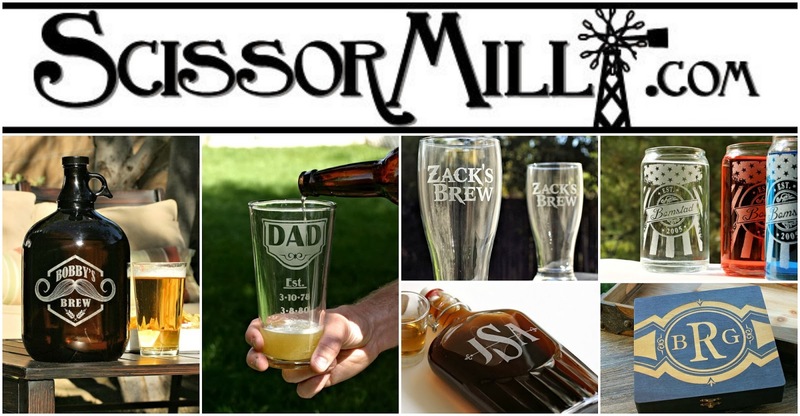 ABOUT THE SHOP: In the summer of 2011 I had the idea of making a set of custom pint glasses with our home brew name on them. That escalated to researching how to make them myself, which turned into an awesome set of glasses all our friends loved. "You should sell those!" kept being repeated, so I decided to give it a try. Soon, ScissorMill was born. Since opening I have expanded my product line to accommodate the need for other unique personalized products. Now I offer wedding gifts and favors along with tap handles, wine plaques, and cutting boards. Business is good and I'm very happy to be a part of the Etsy Market Place. Use code HOLIDAYEXCLUSIVE to get $5 off your purchase of $50 or more. **Overseas customers should allow for one month for delivery. 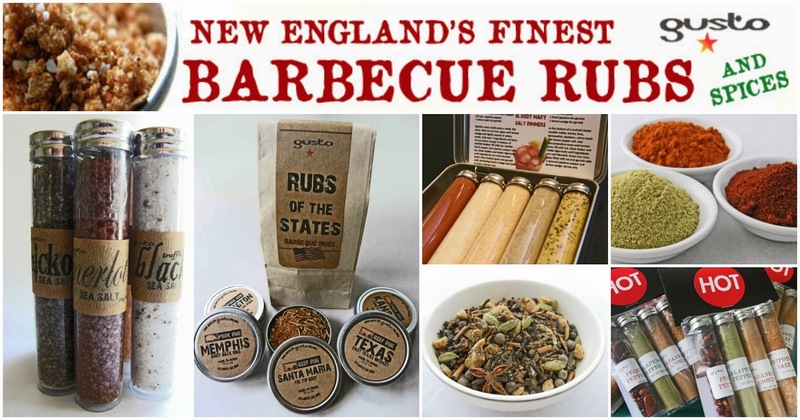 ABOUT THE SHOP: We make all of our rubs made-to-order and never use preservatives. We believe in our products completely and guaranteed our rubs and spices to be sent fresh. We are a small family business in Northampton, MA who believes in the power of neighbor helping neighbor - it's what helps build a community! Use code 10OFF50 to get 10% OFF your purchase of $50 or more! ABOUT THE SHOP: The bowtie&cotton project got started in February 2012 because of the love of fabrics, patterns, and an obsession with the sartorial elements. My background is in fashion. I like the classic understatement style as you can probably see from quite a few of the fabrics I've picked for my products. They may seem simple, but with the keen eyes, you see the unique details. With that said, I also enjoy finding interesting seasonal patterns to add to the store...as I believe, life occasionally needs some bold colors and fun accessories. Use code HANDMADEHOLIDAY15 to get 15% OFF your purchase! ABOUT THE SHOP: I am a military wife, and my passion for the military has been a life-long venture. When my husband deployed shortly after we had our first son, I looked for things I could do to keep me occupied. I found myself hand-painting dinnerware and creating anything military. Pretty soon, LE's Creations was born. 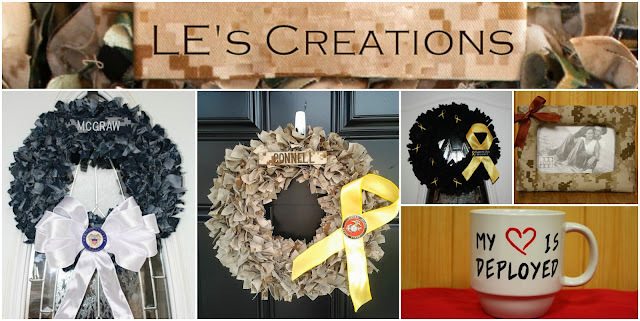 This shop features all of my military creations. Custom requests are more than welcome! Use code COTESHOLIDAY to get 10% OFF your purchase! ABOUT THE SHOP: I like to compare the creating of a pot to a song. The perfection of each step from kneading, forming, drying, bisque firing, glazing, and the final glaze firing, has to all work together to create the harmony of a great piece. It gives me real satisfaction to eat out of a handmade dish or grasp a shaving mug, that is an individual, with personality, not just another assembly line number. My wares are to share that joy with you!